Substantial tax saving is possible by adopting a holistic, family-wide tax planning. Do remember that your legally tax saved today is your future investment. Looking to the size of the family as well as the type of income and the age bracket of different family members the tax planning of the family has to take off. Also it should be remembered that tax saving is a reality come true which is easy to implement. Presently for the financial year 2014-2015 the exemption limit for individual or an HUF is Rs. 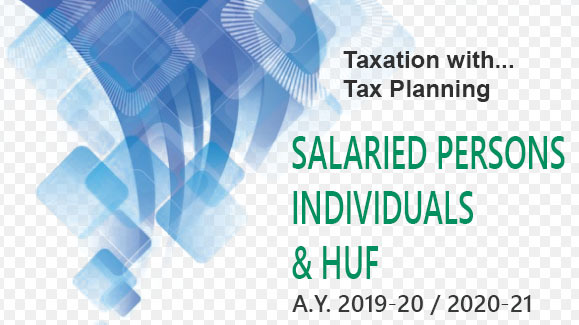 2,00,000 it is high time that tax payers have a separate and independent income-tax file for every member of the family and thus enjoy tax free income for every member to the tune of `2,00,000. Women tax payers, moreover, will also enjoy exemption limit of `2,00,000. Similarly, the senior citizens (age 60 to 80 years) would really be very happy with an exemption limit of `2,50,000. However, the happiest would be very senior persons (age above 80 years) as they would enjoy tax exemption limit of `5,00,000 for the F.Y. 2012-20 13.